The CDCS team come from a variety of backgrounds both operational and management; this allows us to work with, and understand the needs of, the diverse range of personnel employed within the community care sector, from direct care staff through to coordinators, managers and CEO’s. Carrie has a background in service coordination having worked as a coordinator and manager of community based aged care services in remote indigenous communities, rural and urban settings. As an independent consultant, Carrie has supported many organisations and their coordinators in service renovation and development. In addition to this, Carrie has worked with TAFE, universities and private Registered Training Organisations to develop and deliver appropriate training for both aged care workers and coordinators. Donna has a background in governance and compliance with qualifications in Human Movement, Health Service Management and Health Economics. Donna has worked for a range of Government agencies, Aboriginal community controlled health organisations and the NGO sector in the area of primary and tertiary health care, health promotion, youth services, substance misuse and mental health. Donna also has skills in business development, planning and accreditation, with extensive experience in organisation analysis, policy and procedural review and development. 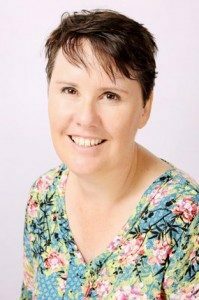 With a career spanning more than 17 years in the Aged Care and Community Care sectors, Kellie brings with her a wealth of practical knowledge and experience. Starting out as an Assistant in Nursing, Kellie’s experience also includes working for TAFE and other RTO’s developing and delivering Aged Care specific training to aged care workers and coordinators. As an independent consultant, Kellie has worked with organisations delivering services on remote indigenous communities, training and encouraging the coordinators and other staff in the development of quality care outcomes for their client base. Catherine has a history of supporting organisations in both the non–government and local government sectors through management roles. Catherine has a passion for good governance and justice and her work has a strong focus on governance, strategic planning, indigenous business development, project management and compliance coupled with a hands–on approach that supports equity, diversity and access. Ryan and Maggie Duncan are qualified chefs who have a background of living and working in remote communities. They have first-hand experience of working in a remote aged care centre and understand the trials and triumphs that come with the role of a cook in this area. Their combined 18 years in the industry includes working for five-star fine dining restaurants, taverns, hotels, family restaurants as well as coordinating meals for remote indigenous schools. As well as being a part of our chef team, Maggie also manages our online systems and communication. Jo has over fifteen years of experience in the aged care industry with first–hand knowledge as an assistant in nursing (AIN), a supervisor within a dementia specific unit. As an aged care trainer and resource developer Jo has worked extensively with students from both residential facilities and the community sectors including many with low literacy and numeracy. Jo is in high demand with training organisations, developing accredited training resources that meet the needs of the target audience. Jo has a passion for mentoring and training care staff with a focus on manual handling to ensure safe working conditions and in improving the quality of life for consumers. Sue is our administration extraordinaire! She has more than 20 years of administration and office management experience that she brings to the role. Sue is the person who keeps our team and projects running to schedule, booking flights, accommodation and vehicle hire. She also coordinates our specialist formatting and graphics team members, ensuring that the quality of the resources developed for services remains high. As well as being a talented and in demand cartoonist, Blaise is the creator of our unique, customised artworks. These hand drawn pictures allow us to meet the cultural requirements of our clients, where the need for a visual based story has to be balanced with a preference for the limited use of personal photos. The pictures created by Blaise are used extensively in our client materials such as client and staff handbooks and brochures.